Tuesday 23rd August at 6.30 p.m. 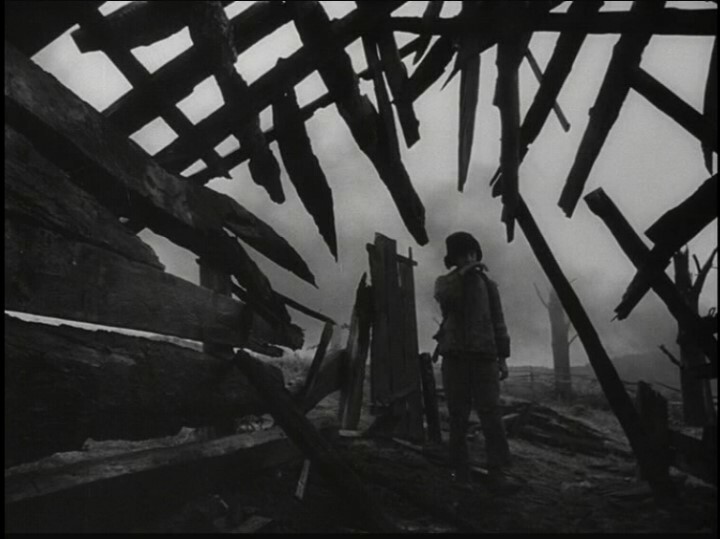 This is a part of the ‘Sculpting Time’ Andrei Tarkovsky retrospective. It was his first feature, shot in black and white and in Academy ratio. The film is set in the Ukraine, on the front line between the Soviet and German armies in World War II. Ivan (Nikolay Burlyaev) is a young boy acting as scout for the Soviet army, frequently working behind the German lines. An important aspect of the film is his strong relationship with the Soviet officers who run the post from which he works. He also carries the scars of past events. I would argue that this, along with Andrei Rublev (1966), is the filmmaker’s finest work. Certainly the film is beautifully produced and one should note the important contributions of the film’s craft people: the script was written by Vladimir Bogomolov, Production Design by Evgeniy Chernyaev, Cinematography by Vadim Yusov, Film Editing by Lyudmila Feyginova, Music by Vyacheslav Ovchinnikov. It runs for the original 95 minutes and has English subtitles. And you can still collect the sets of well designed lobby cards from Curzon / Artificial Eye.